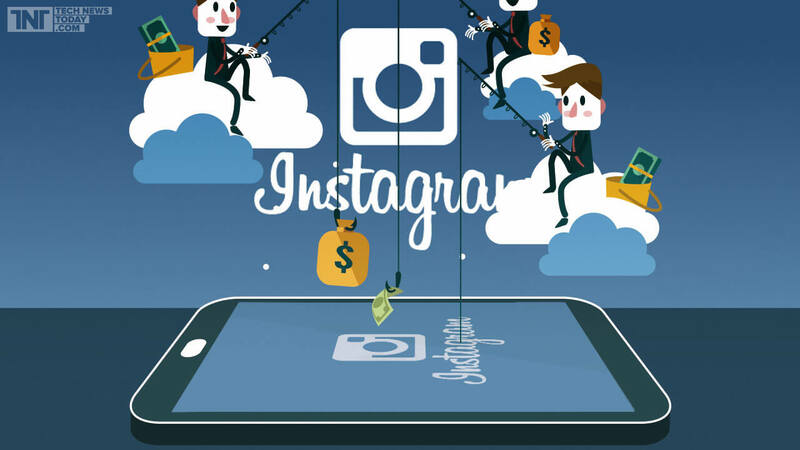 How Does Instagram Make Money Instagram Revenue Model? Hi Dosto, Today we will talk about how does Instagram Make Money In Hindi ?. Instagram was created by Kevin Systrom and Mike Krieger in 2010. Instagram is a free social networking application, which offers the option of sharing photos and videos. Facebook bought Instagram. Instagram's revenue model is similar to Facebook, all of Instagram's revenue comes from advertising. Before talking about 'How Does Instagram Make Money ? ', We will learn about Instagram's business model and the Facebook - Instagram relation. Image sharing is growing very fast after the smartphones arrive. Instagram number one image sharing is the social network. Instagram's business model is unique and evolving Instagram's business model is the same since 2010. These are a free image sharing mobile application starting from the beginning. Just like other social networking applications and websites like Facebook, Snapchat, Twitter, users have to create a profile on Instagram. There are some features of Instagram- photos and videos upload, photos and videos filters, following of other users' feeds, geotagging, self-disappearing stories and life stories are provided on Instagram. Instagram did not earn any revenue till 2013. In late 2013, Instagram started earning money from advertising. Instagram then launched the sponsored post advertisement (just like Facebook's). After that many new features were introduced. And some of these features were copied. 2013 -Instagram announced you to advertise on the platform. 2013 - Instagram Introduces Direct (a feature that allows users to send photos to specific people). 2016 - Instagram Introduces Stories (a feature copied from Snapchat, with the help of which users can upload photos and videos in their Instagram story which automatically expires after 24 hours). 2016 - Instagram introduces live video feature (with which help users to broadcast live on Instagram). 2017 - Instagram released the Instagram carousel (with its help users to post up to ten pictures or videos in the same post). Like Facebook, Instagram's rabbits earn more revenue than Sponsored Posts These are just like posts, but there are a sponsored tag and a call to action button. Instagram lets you give advertisers a group of images as well as the story. This type of advertisement is very popular on Instagram. Instagram introduced video advertisements that pop up when users look at stories. These are just like Snapchat's. Instagram's revenue models are connected to Facebook. You can also advertise on Instagram from Facebook. You do not need your Instagram account for this. Instagram's user-base is growing very fast. That's why Instagram earns very good revenue from Facebook. What's there in the future? Instagram has copied Snapchat. And along with that, the revenue earning strategies are also copied. In Future, many new features and type of advertisements are coming to Instagram. I hope you get Instagram Make Money? This article will be like. If you liked this article, comment and share it.